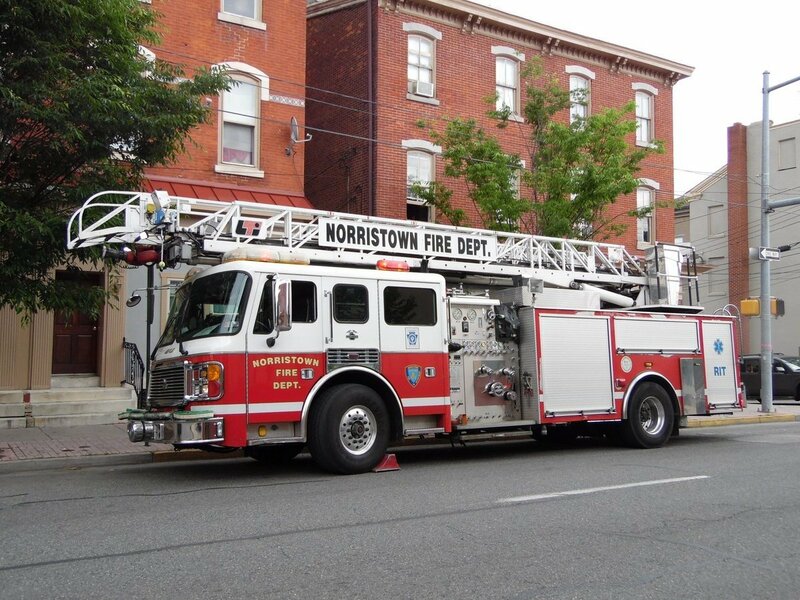 The Municipality of Norristown invites any and all interested persons to submit sealed bids for the purchase of a 2001 American LaFrance, VIN# 4Z3AAACG75RJ69273. The fire truck has 90,406 miles, 13,255 Engine Hours, 1404 Aerial Hours and 567 pump hours, additionally it is equipped with a 75’ aerial ladder, 1500 GPM Pump, and 500 gallon water tank. The fire truck will be sold in “as is” and “where is” condition. The Municipality of Norristown provides no guarantees or warranties, either expressed or implied. Mileage, engine, aerial and pump hours reflects the information as of the date of this notice for bid and that at the time of sale additional mileage, engine, aerial and pump hours may exist as the truck will remain in service until sold. Sealed bids may be sent by courier, or hand-delivered, to The Municipality of Norristown, 235 East Airy Street, Norristown, Pennsylvania, 19401. Attention, Crandall O. Jones, Municipal Administrator and with a notation on the envelope of “Fire Truck Bid”. Bids may not be sent by email or other electronic means. Sealed bids must be received no later than 3:00, pm., prevailing time, on September 6, 2018, at which time such bids shall be opened in public. The Municipality of Norristown may accept any bid or it may reject any or all bids for any reason or no reason, including no responsible bid equals or exceeds the estimated fair market value of the fire truck offered for sale. If the sale is awarded to a bidder, settlement on the sale shall occur within fifteen (15) days of the date of the award. Payment of the purchase price shall be by bank check or wire transfer at settlement. The winning bidder shall also be responsible for taking possession and removing the fire truck from municipal property after payment of the purchase price. Interested persons may arrange to examine the fire truck by contacting Captain David Hicks at 610-233-6936 or via email at dhicks@norristown.org, by 2:00 p.m., prevailing time, on September 6, 2018.